“The only things certain in life are death and taxes,” the old saying goes. Well, we can add another to the list: power outages. An outage can range from annoying to dangerous, depending upon its timing and length. Your local electric cooperative’s primary goal is to deliver the highest possible quality of electric service at the lowest possible price. Perhaps the key measure of quality in the eyes of members is the number of times their lights blink or go out. Let’s talk a bit about how the grid is designed as a backdrop to how technology is improving reliability by reducing blinks and outages. Along the power lines that bring electricity to your home, the co-op installs protective devices in the form of fuses and reclosers (high-voltage circuit breakers). Fuses and reclosers serve the same purpose as the fuses and circuit breakers in your home. A fuse is a one-shot device. When a fault occurs, the fuse blows, and everyone “downstream” from it loses power. Reclosers are multishot devices, meaning they can operate a certain number of times before they stay open and an outage occurs. A common setting is what’s known as a triple-shot. 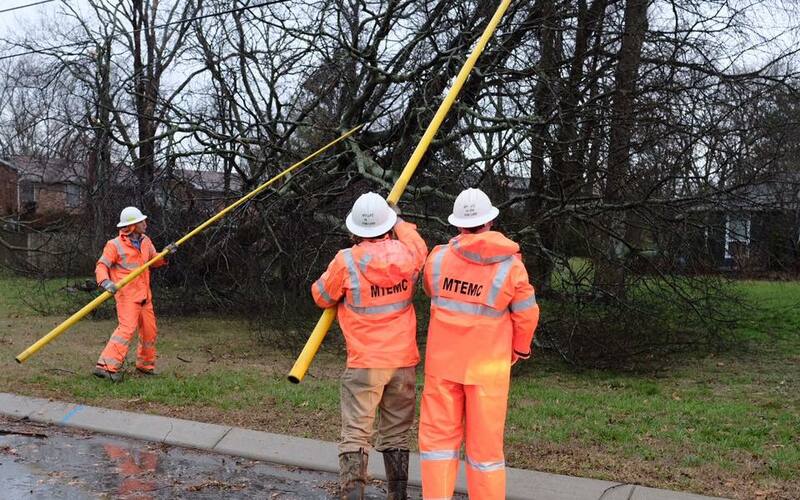 Here’s how that works: A tree limb contacts the power lines and creates a fault. The recloser senses it and opens, creating the first blink. Here’s where a recloser differs from your home circuit breaker. The recloser waits a certain amount of a time (typically a few seconds), then recloses to try and complete the circuit. If the fault is still there, the recloser opens again. This creates the second blink. Triple-shot settings allow the device to reclose a third time and, if the fault is still there, it stays open, and the members downstream experience a power outage. Blinks are nuisances, but they eliminate a lot of extended outages by protecting wires and equipment from serious damage. So, what kind of technology is improving service reliability? The smart grid is spawning an amazing array of equipment and software that are already improving reliability. When combined with field construction practices like building multiple ways to feed power loads and the deployment of advanced metering systems (AMI), the future of reliability is bright — pun intended. Electric co-ops are starting to use more of what are called intelligent electronic devices. “Intelligent” basically means a co-op can program the device to behave a certain way when a specific event occurs. It also means the co-op can remotely command the device to take an action, either preprogrammed or ad hoc. Eventually, there will be a power outage — despite your cooperative’s best efforts. That is where AMI and an outage management system (OMS) earn their keep. The basic element of an AMI is a meter that can communicate with your electric co-op. The OMS maps system data and meter locations into a piece of software that models the electric grid. When a device on the grid reports loss of power, the OMS runs calculations to determine the exact location of the fault and the number of members impacted. Now, the whole suite of systems your co-op uses comes into play. The co-op dispatcher can call out or redirect a crew to the exact location of the problem. A map of the outage and number of impacted members is generated, and member service reps are notified that an outage is in progress. Members who have signed up for it might receive a text stating there’s an outage and another when power is restored. The end result of all this technology is the minimization of outages and their length, plus more availability of up-to-date information for the consumer. Mother Nature is a tough opponent, and it’s impossible to eliminate outages and blinks altogether. But with the way technology is advancing, we can expect to see some remarkable improvements.